On Monday, we had a visit from the Network Rail safety team who talked to the children about staying safe around railway lines. 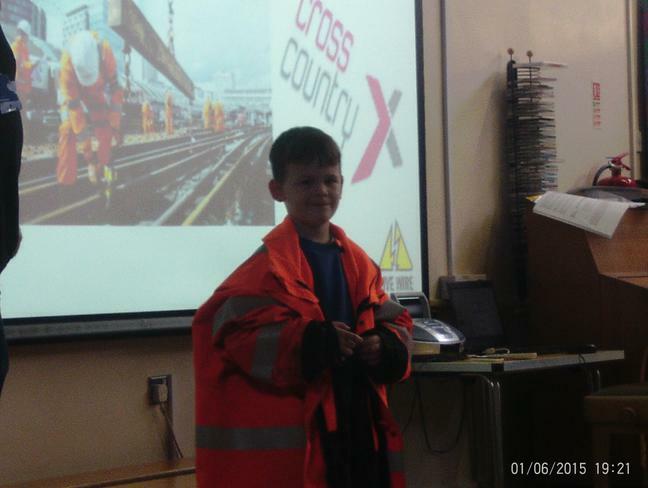 The children enjoyed seeing the uniform that they wore at work - and Charlie in Kite class was a fabulous model of their High Vis jacket! The PowerPoint, with a quiz, has been uploaded to all class pages - please do share the PowerPoint again with your children. See what fab facts they can remember.